I never thought to ask. I wish I had. 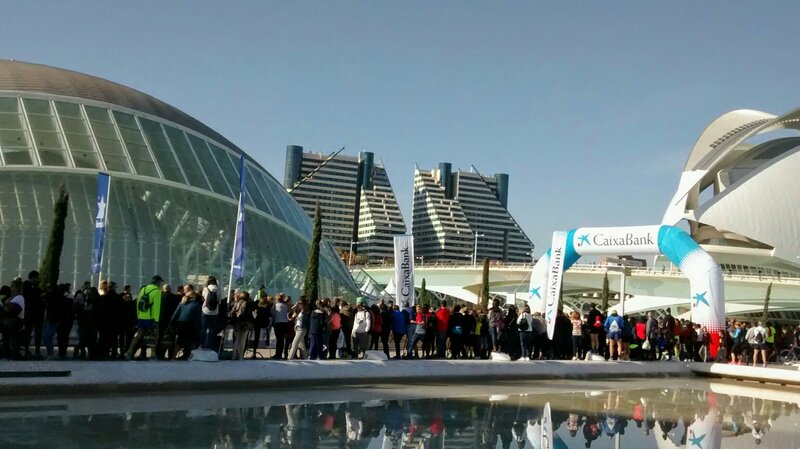 I never thought to ask if it was the Valencia Marathon on Sunday. 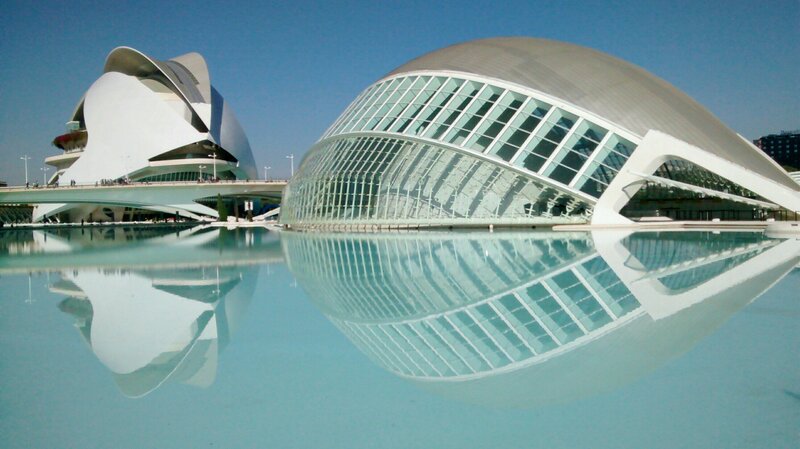 I never thought to ask if the Marathon would begin and end at the City of Arts and Sciences, where I’d planned to spend the whole day. It was all quite fun at first. 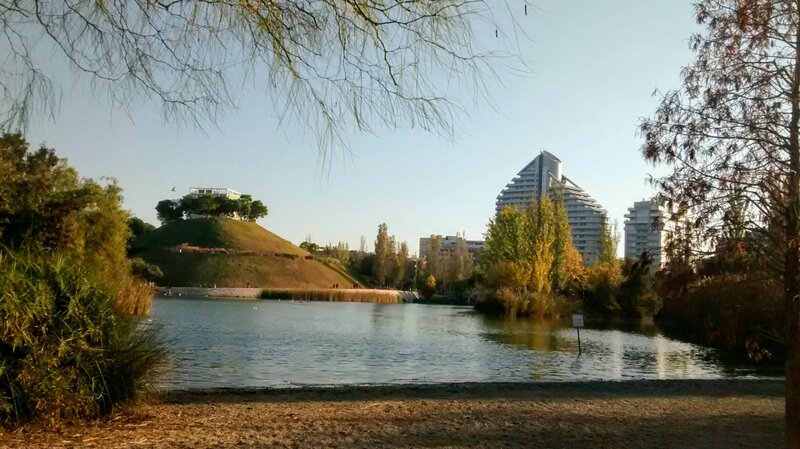 I was walking through the wonderful Turia Gardens, the dried up river bed that is now a park encircling the city centre, when I heard music and announcements in the street above. This is what I found when I went to look. And that was fine. But as I neared the City, the crowds grew. Paths were closed. The crowds, the noise, the music became ever more invasive. I took a few photos, and decided that this noise, these crowds, this carnival wasn’t for me. All the paths I thought I needed were closed, though, or jammed with people, and getting away turned out to be very tricky. This was not the low-key day I’d planned. It was ok in the end. I found a park at the other side of the city, and did a whole lot of nothing. It was just what I needed. Congratulations, such a morale booster. I’m sure you’re right and a day of rest, reflection and assimilation was more helpful than another stimulating activity. Bonne chance for next week. As you can see Spanish is not my language. Lovely pictures though sorry about the marathon upsetting your arrangements. What a Spanish achievement, congratulations! Oh, it was a really simple question, so don’t get too excited! Also, I’ve just come out of a really difficult class, so I’m feeling a bit thick today. I know what you mean, very few of my days seem to go as planned. Glad you found a refuge. What fabulous contemporary architecture – a little bit of silver lining, yes? Dónde está? I had a good laugh at your ‘matin raté’ – but you pulled through and got out – and you even took some glorious pics along. I love good architecture, old and new! PS: Late commenting again, as wp was in spasm – again – ….. it’s annoying, but your blog wasn’t the only one affected. You could never, ever be described as ‘thick’ – what you are doing is amazing! Well, thanks Penny. But classes didn’t go that well today, so thick seems to cover it quite well. This afternoon was good though, exploring lesser known parts of town with an illuminating guide, in a small group. I’m glad you found the peaceful park. I’m never that keen on crowds and noise and after a busy, hard-working week I’m sure that was the last thing you needed! With regard to your less successful morning – put it behind you. We can’t be on top form all the time! We certainly can’t! Thanks for your encouragement, Clare. I’ve been in Boston for their marathon so I have a very good idea how an event like that can take over a city entirely! It’s good you went a different direction for your much-needed quiet time. And giving directions, in Spanish, to a Spaniard?? Amazing! I wish I hadn’t made this little boast. It was a very simple question, with a simple answer. I was just pleased she thought I was a native.